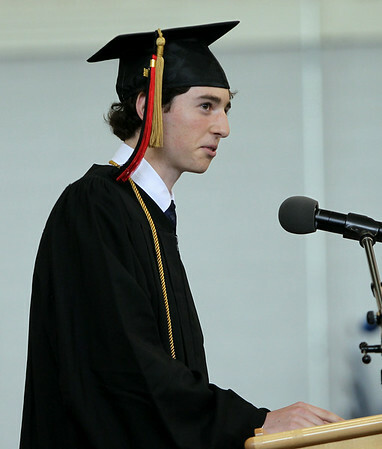 Marblehead High School Valedictorian Jason Frost addresses his classmates at graduation on Sunday afternoon. DAVID LE/Staff photo. 6/8/14.